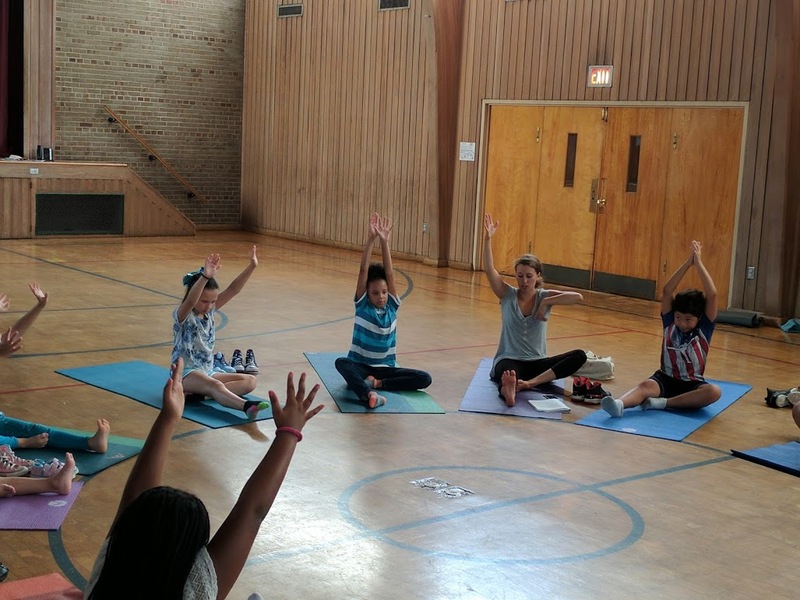 Learning Center students practice yoga in the gym on a Friday afternoon in August. Yoga has many benefits and is not just a fun way to stretch and strengthen your body, it is also a way to find mindfulness and learn to relax. Under the direction of the Shanthi Project, each Friday through the summer the school-aged students in The Learning Center have been experiencing these benefits. Instructor Brooke goes through basic yoga poses and stretches with the students focusing on strength. Brooke introduced her singing bowl to the students, teaching them mindful listening, as well as mindful walking. Among the positions learned, the students attempted the crow position, which has a person balancing on their hands only. At the end of each lesson, the students focus on their breathing, learning how to quiet their thoughts during the minute of silence. “This time also allows our students to destress and focus on the positive and things that they can control,” Nancy said. Throughout the Lehigh Valley each year the Shanthi Project teaches more than 1,000 yoga classes to hundreds of kids, veterans and the incarcerated. To learn more visit to www.shanthiproject.org.